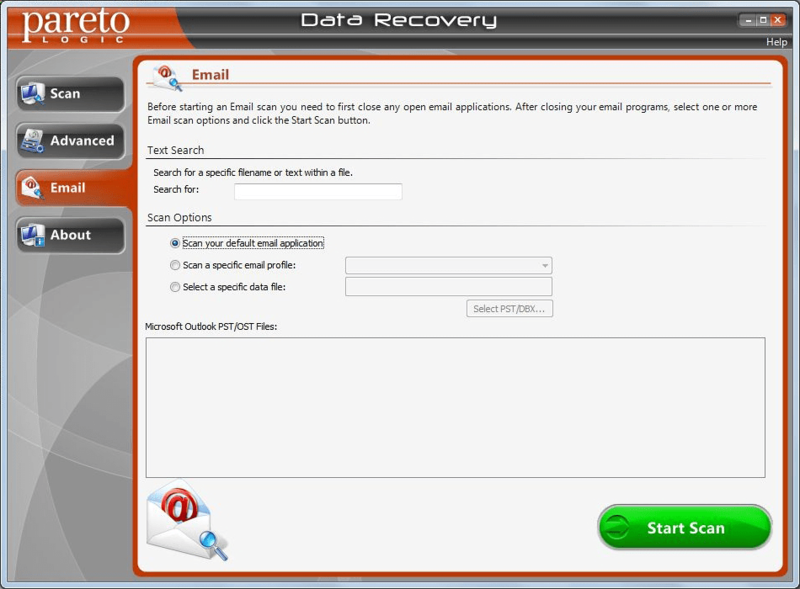 Data Recovery Pro is an easy-to-use tool restoring erased files and emails that would otherwise be lost. 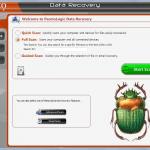 Data Recovery Pro by ParetoLogic Inc. is one of the world’s most popular utilities tailored for restoring deleted files and emails. This tool has gained an undoubtedly deserved recognition primarily due to the ease of use, low system memory footprint and, most importantly, fairly high efficiency in getting the erased data back to life, whatever happened to cause the loss thereof. The stereotypical perception of a computer program like this often narrows down to the forensic realm, with abstract silhouettes of some secret agents or wicked black hat individuals coming to mind. This is a very restricted perspective though. Imagine some digital photos of yours, home videos, elaborate business presentations or other important Microsoft Office documents vanish because of an unintended click on that Delete button or due to damaged partitions on the hard drive. Some things are irreplaceable. 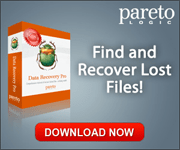 That’s precisely where ParetoLogic Data Recovery Pro can come to your rescue. Not only does it find and restore the above-mentioned types of files even from a drive that has just been formatted, but it also has the ability to recover email messages (including attachments) and media objects from a number of iPod versions. Furthermore, with some limitations, the application processes compressed and encrypted files and revives information missing from peripheral storage entities. Extra features include previews of detected recoverable files and the search by keyword or word combination. Whereas the restoration all recycled files is not guaranteed and, frankly, that’s usually not the case, Data Recovery Pro can certainly mitigate the risks of data loss. While delivering this functionality, the app is amazingly light on the system. Getting ParetoLogic Data Recovery Pro up and running is easy and far from time-consuming. All it takes is downloading the Pareto_DR_Setup_RW.exe file (3.3 MB large), double-clicking it to execute, and going through three additional screens for License Agreement, install location and components selection. The product needn’t be purchased at this point, providing a free scan feature that can be launched right after the setup. One important thing that we would like to point out is related to platform compatibility: while the product’s official web page says it works with Windows 2000, XP and Vista, we believe this information hasn’t been updated for a while. We successfully installed Data Recovery Pro on a 64-bit Windows 7 machine, which is why the System Requirements section above contains the respective OS support entry. The user interface is quite streamlined, intuitive and hence takes literally a minute or two to explore and get accustomed to. It’s got four main buttons which are vertically lined up in the left-hand pane. These are Scan, Advanced, Email and About. The inconspicuous Help button is located in the GUI’s top right-hand section. The user can trigger Quick, Full, Guided, Advanced, and Email Scan. While the first two are self-explanatory, let’s focus on the rest. 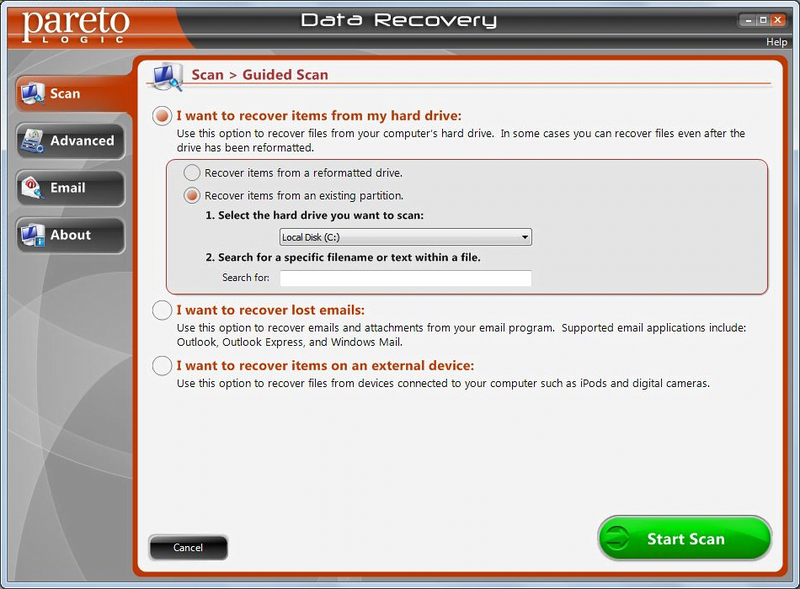 The Guided Scan walks the user through the recovery process by providing easy-to-understand prompts on what action should be fulfilled, in particular things like “I want to recover items from my hard drive” (with the drive name choice option), “I want to recover lost emails” and “I want to recover items on an external device”. Obviously, this scan type is there for non-advanced users, at the same enabling a diversified selection of restoration criteria. The Advanced counterpart allows choosing the areas to scan out of the following: Recycle Bin, corrupt hard drive sectors, files without names, reformatted partitions; and volumes to check for files to be restored. Also, there is a Text Search box within this screen. The Email Scan processes Outlook .pst / .ost files, Outlook Express .dbx files, and works with the Windows Mail client. Note that all email applications need to be closed throughout this procedure. To its credit, Data Recovery Pro hardly affects the system productivity during the scanning and file restoring tasks. None of the running applications were affected responsiveness-wise in our test, nor did the CPU usage substantially go up. A shortcoming that really strikes the eye, though, is the full scan length. It takes hours to complete. The rest of the scan types don’t last nearly as long: for instance, quick scan was done within 12 minutes. It’s sort of inconvenient that not a single button (including About and Help) is active during the scanning process, so you have to either cancel the scan or wait until it’s over. Summing it up, the program being reviewed exhibits excellent usability benchmarks except for the overly lengthy full scan. Another nuance is the vendor should update the product’s page and include the relevant OS compatibility specifications. File recovery is this program’s key feature. 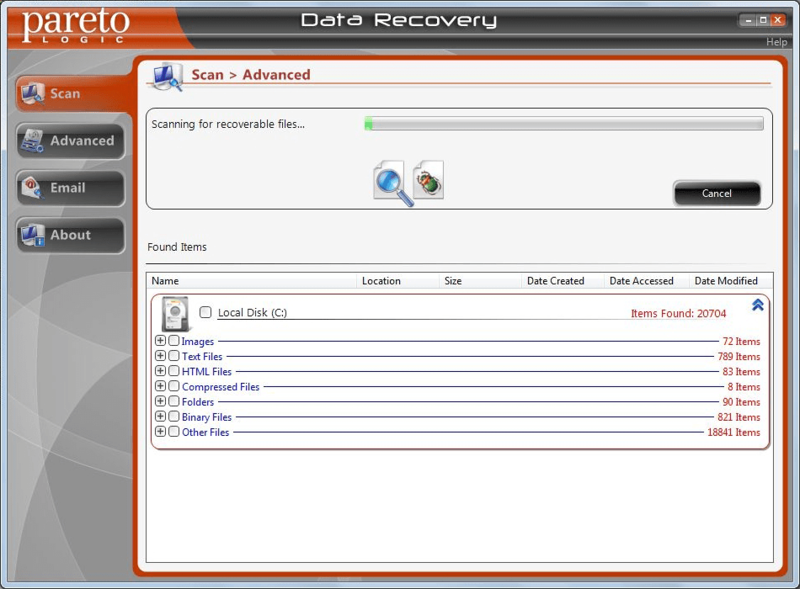 Data Recovery Pro detects and restores images, videos and documents that were previously deleted. An additional virtue of this application is its capability to process compressed and encrypted items. Email recovery means that messages removed from email clients can get a new life. The tool can as well restore attachments to these letters, which is perhaps the most luring aspect of the feature. Data Recovery Pro retrieves information from just formatted or partitioned drives. This is an advanced feature enabling the user to rescue files from obliteration even if the respective hardware’s data structure has been modified or corrupted. The application can recover files from peripheral storage devices. In case data has been erased from a USB memory stick, memory card in a digital camera or any other type of external data media – the program treats these just like the computer’s built-in hardware in terms of information processing. The keyword search feature facilitates finding files of interest to be recovered. A keyword or phrase which you remember was in the filename or in the document’s contents can be entered into the box that every type of scan goes with. File preview denotes an option where you can take a look at a snapshot of a data object before actually recovering it. Be advised some files cannot be previewed, but in any case that’s a useful instrument to make sure you’re after the right item. Multimedia recovery from iPod Classic, iPod Nano and iPod Shuffle is another feature that shows this app to good advantage. Unfortunately, Data Recovery Pro doesn’t work with gadgets like iPod Touch and iPhone at the moment. 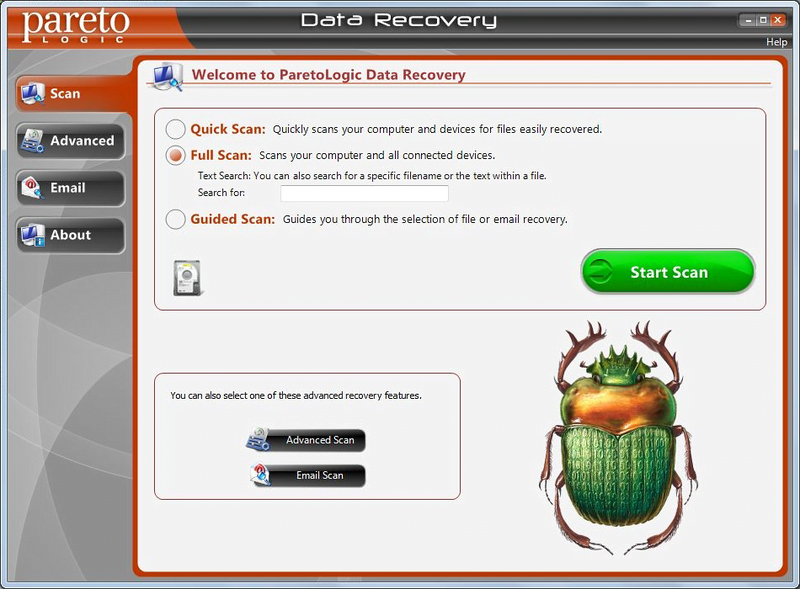 In spite of the fact that the scans by ParetoLogic Data Recovery Pro are longer compared to its competitors’ benchmarks, the process is thorough enough to detect a significant part of the files that are missing. The software found more than 20,000 recoverable items on our test workstation, which is certainly a good result. For a greater convenience, these objects are grouped by categories: images, text files, HTML files, compressed files, folders, binary files and others. The item location, size and dates (‘created’, ‘accessed’ and ‘modified’) are indicated in the report as well. In the meanwhile, there are very few files with previews available. A field where Data Recovery Pro is currently in demand is ransomware impact remediation. Some of these sophisticated infections delete users’ personal files and store their encrypted copies on a remote server. Whereas these data cannot be retrieved unless a ‘ransom’ is paid to the criminals, tools like the one being reviewed can help restore some of the obliterated files. Again, it’s not likely that all deleted items are recoverable, but that’s definitely an option to give a shot rather than pay hundreds of dollars to the bad guys who run ransomware. Support options for Data Recovery Pro users are as follows: Q&A search, submitting a question via email, phone help, and opt-in premium support. The Questions and Answers section on the vendor’s website is pretty informative, containing a total of 22 brief articles on the common product usage issues. Emails are responded within 24 hours. To access the online chat for priority support which is available Monday – Friday 9:00 AM – 4:00 PM (PST), a client needs to go through an authentication procedure by entering the license key. In general, ParetoLogic customer care is fairly dependable and responsive. As far as this product’s pros and cons are concerned, the former prevail. 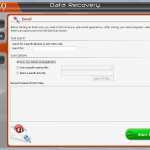 Data Recovery Pro revives documents, images, emails, email attachments, compressed files and binaries that were deleted by accident or went missing because of bad sectors on a data storage device. Restoring absolutely all missing objects is not the case – in fact it never is, regardless of which software you use. However, some files can be retrieved, which makes this solution worth a try by all means. We particularly like the keyword search feature and the app’s ability to work with peripheral devices. This utility has a number of usability shortcomings, including the extremely long full scan, but overall it’s a good pick for basic data recovery.